Supplier & Trader of Amplifier Card. Our product range also comprises of Programmable Logic Controller, Control Equipment and Siemens AC Drive. Being one of the leading manufacturers and suppliers of this impeccable Amplifier Card, we never compromise with its standard of quality. Thus, we engage in the utilization of high grade raw materials and modern machines, in accordance with the set industry norms and guidelines, utilizing the finest raw materials and modern technology. Owing to this, the product's capacity, strength and service life, is widely praised. 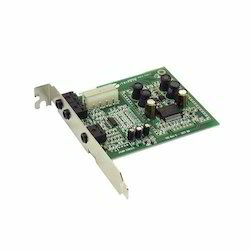 Looking for Amplifier Card ?